What is shaking in your world? Your future? Your faith? Your family? Your finances? It's a shaky world out there. Could you use some unshakable hope? Join us for this life-giving study by Max Lucado, and learn key truths that will equip us to overcome challenging circumstances, experience lasting security, and live in Godly peace. 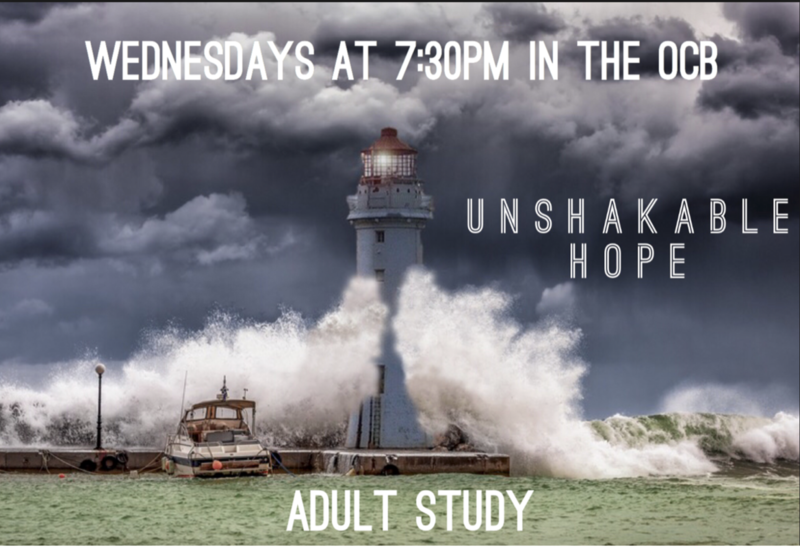 Wednesdays at 7:30pm in the OCB Sanctuary.